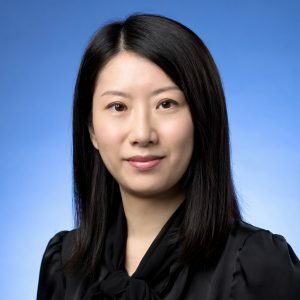 Prof. Catherine Yeung is Associate Professor of Marketing at The Chinese University of Hong Kong (CUHK) Business School. Prof. Yeung joined CUHK in 2015. Prior to that, she was Associate Professor of Marketing at the NUS Business School, National University of Singapore. Her research focuses on the psychology of judgment and decision making. She studies how people make decisions based on feelings, heuristics, and social norms. Her articles have appeared in academic journals such as Journal of Marketing Research, Journal of Consumer Research, Management Science and Journal of Consumer Psychology. Prof. Yeung also conducts community-based research, which develops and evaluates interventions that aim at improving individual and community well-being. She works extensively with partners including government agencies (e.g., the National Environment Agency of Singapore, Land Transportation Authority of Singapore) and community organisations (e.g., hospital and healthcare centres), who are interested in deriving policy implications based on research findings. Teck-Hua Ho and Catherine Yeung (2015), “Can a One-Time Incentive Induce Long-Term Behavioral Change?” California Management Review, 58(2), 113-128. Teck-Hua Ho and Catherine Yeung (2014), “Giving Feedback to Clients,” Management Science, 60(8), 1926-1944. Anirban Mukhopadhyay and Catherine Yeung (2010), “Building Character: Effects of Lay Theories of Self-Control on the Selection of Products for Children,” Journal of Marketing Research, 47 (April), 2, 240-250. Qiu Cheng, Yih Hwai Lee, and Catherine Yeung (2009), “Suppressing Feelings: A Double-edged Sword to Consumer Judgment and Choice,” Journal of Consumer Psychology, 19(3), 427-439. Winner of 2009 JCP Young Contributor Award. Qiu Cheng and Catherine Yeung (2008), “Mood and Comparative Judgment: Does Mood Influence Everything and Finally Nothing?” Journal of Consumer Research, 34 (Feb). Catherine Yeung and Dilip Soman (2007), “The Duration Heuristic,” Journal of Consumer Research, 34 (Oct). Catherine Yeung and Dilip Soman (2005), “Attribute Evaluability and the Range Effect,” Journal of Consumer Research, 32 (Dec). Catherine Yeung and Robert S. Wyer, Jr. (2004), “Affect, Appraisal, and Consumer Judgments,” Journal of Consumer Research, 31 (Sept). Teck Ho, Noah Lim, Rob van Dam, Ryoko Sato, Kwang Wei Tham, Hong Chang Tan, and Catherine Yeung, “Online Weight Loss Program: Incentivize Weight Loss or Health Education?” Paper under review.